I am directed to say that as per Para 4 of this Departments communication no. 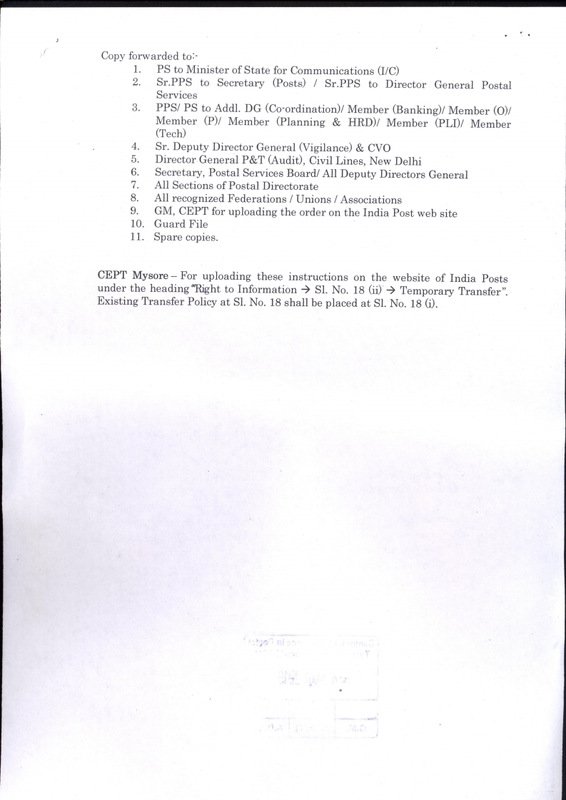 141-141/2013-SPB-II dated 17.01.2019, Inter-Circle temporary transfer is allowed in deserving cases as per conditions mentioned therein. 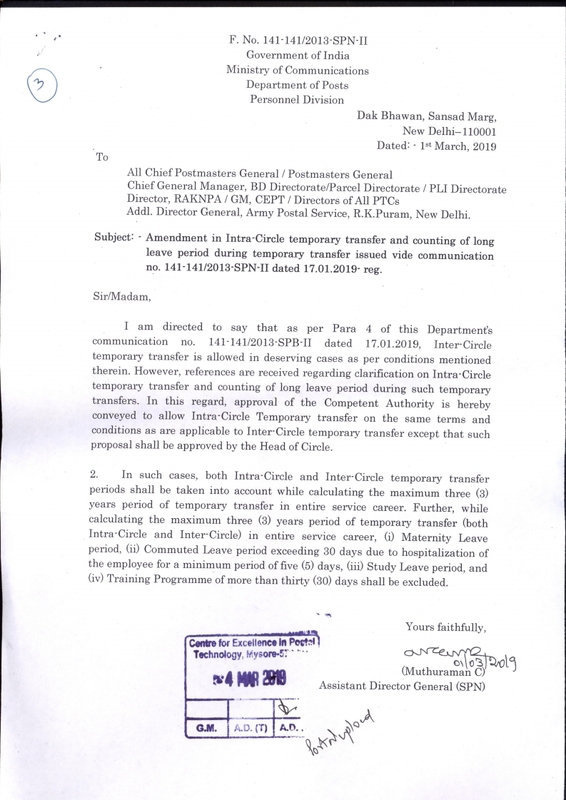 However, references are received regarding clarification on Intra-Circle temporary transfer and counting of long leave period during such temporary transfers. In this regard, approval of the Competent Authority is hereby conveyed to allow Intra-Circle Temporary transfer on the same terms and conditions as are applicable to Inter-Circle temporary transfer except that such proposal shall be approved by the Head of Circle. 2. In such cases, both Intra-Circle and Inter-Circle temporary transfer periods shall be taken into account while calculating the maximum three (3) years period of temporary transfer in entire service career. Further, while calculating the maximum three (3) years period of temporary transfer (both Intra-Circle and Inter-Circle) in entire service career, (i) Maternity Leave period, (ii) Commuted Leave period exceeding 30 days due to hospitalization of the employee for a minimum period of five (5) days, (hi) Study Leave period, and (iv) Training Programme of more than thirty (30) days shall be excluded.